When you think of the Ekka (Brisbane Royal Exhibition Show), you mostly think of showbags, amusement rides and games. Don’t forget though, it is also an event for people to show their horses! 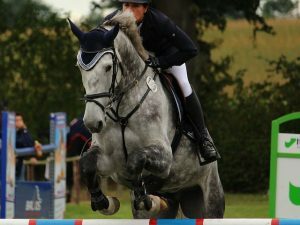 Whether it’s lead-in-hand, dressage, or showjumping, horses of all breeds and sizes compete. If you’re planning on going to the Ekka today (Logan & Redlands region) or Wednesday (Brisbane area), why not go and check out some of the events? As well as horses, there’s cows, sheep and other small pets vying for prizes and recognition. The team at East Coast Horse Transport Brisbane would like to wish everyone a safe and happy Ekka public holiday! Happy Birthday, Horses!! Rain Is On The Way!